The new Batman 66 game is named after the year when the TV series first aired on the US network ABC. That makes it 50 years old, and the game is being released to coincide with Stern's own 30th anniversary year. Stern game have had LCD displays before of course. Whoa Nellie! - Big Juicy Melons has a less than big and juicy display built into the apron, while WWE Wrestlemania's LE and Premium models had a more impressive panel showing wrestling clips. Ghostbusters LE and Premium also had a small LCD for the Ecto-Goggles feature, but this is expected to mark the end of the DMD panel for all but Vault Edition releases. This emphasises the point that this is not a simple re-branding of Stern's 2008 Batman - The Dark Knight game in the same way the recent Spider-Man Vault Edition remake was re-branded by applying comic book artwork and characters to Steve Ritchie's original design. 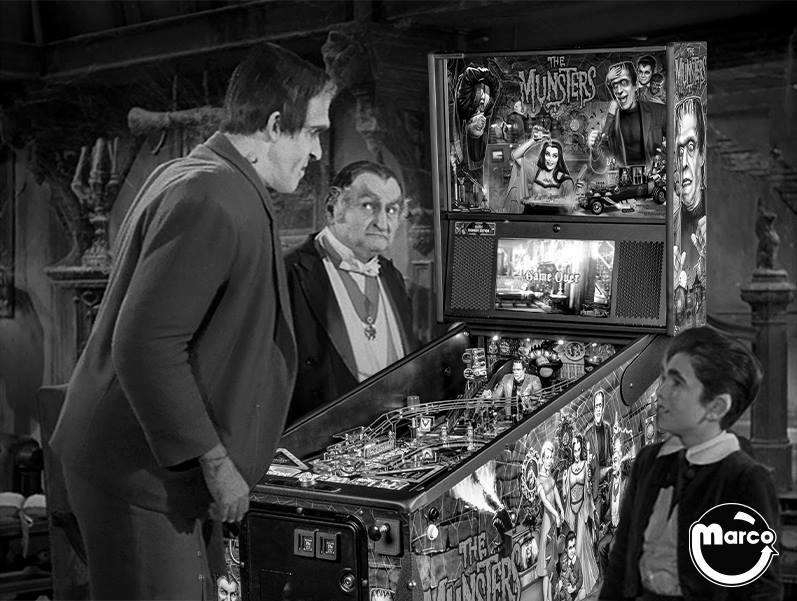 The Batman 66 will keep the crane toy from George Gomez's Dark Knight design but other areas of the playfield will be changed. 30 Super-LEs can only be bought by invitation, although it's not clear who will be invited or who will be inviting them. 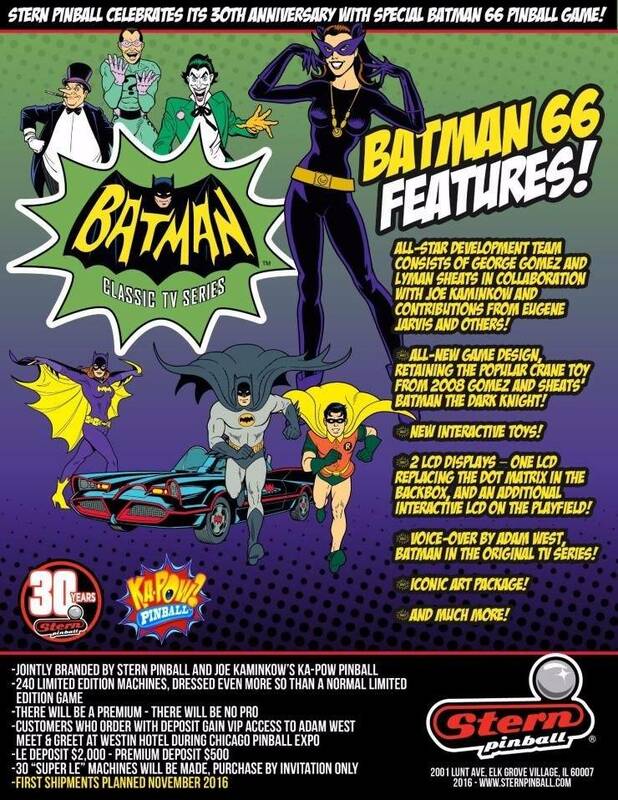 The final point of interest is how Batman 66 is being produced with Ka-Pow Pinball which is a new company set up by Gary Stern's former partner at Data East and Sega Pinball, Joe Kaminkow. I'm waiting on alien ! Hope,it's good !